Upstate New York is a very general term used to refer to a large slice of the state of New York that lies outside New York City. It includes Rochester, Buffalo, the Adirondacks, and Syracuse. Most of Upstate New York consists of agricultural land. The farms are big, beautiful, and most of them are sustainable too. You will find a lot of rustic spots and lots of vineyards and wineries where you can hold your wedding. There are also a ton of natural features in this large area making it easy to find wedding venues in Upstate New York. The most famous one is the mountain range known as the Catskills. Others, no less spectacular and breathtaking, include the Niagara Falls and the Finger Lakes. Upstate New York is also home to the prestigious New York State Fair. If you’re looking to hold your wedding venues Upstate New York, you have plenty of options. You could go to Handsome Hollow and have a wedding at one of the most beautiful venues in the entire country. You could go for something that captures the rustic spirit of Upstate New York, like the Stone Tavern or Roxbury Barn and Estate. If you’re more of the aquatic type, you’ll find plenty of places where you can enjoy fantastic views of the water. The High Peaks Resort on Lake Placid and the View on the Hudson are great options. There are also plenty of mansions listed if you want something a little more elegant and grand. It doesn’t matter what your style is. Whether you’re more into rustic vibes, or want a chic wedding. Whether you’re into art and art shows, or you’re more of the naturalist type and want a great view of nature and artifacts from America’s great past. Whatever kind of mood you want to have at your wedding, the diverse region that is Upstate New York has something that will suit your style. There are also lots of vendors and event planners who you will find invaluable in making your wedding as perfect as you envision it. 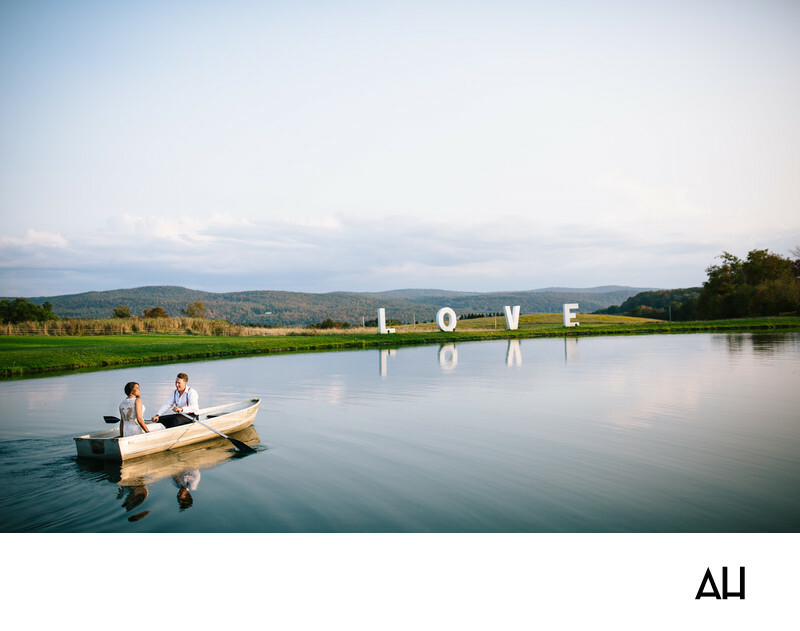 The following wedding venues Upstate New York is by wedding photographer, Andrew Henderson. If you are looking for a wedding photographer and would like to book me, contact me. Gilbertsville Farmhouse - Are you interested in ‘glamping’? If so, you can find a way to combine your wedding day with this fun activity in a venue in South New Berlin. No idea what I’m talking about? It’s the Gilbertsville Farmhouse! Lying a mere 45 minutes southwest of Cooperstown, this fantastic venue has glamorous glamping tents, a century old farmhouse, two barns, church pews like no other, and a hammock park. All of this is set in one of the most breathtaking landscapes you will ever set your eyes on. The family that owns this magnificent farmhouse came from the city, but their hearts are in the right place: the country. Take advantage of this paradise they have created and use it to turn your wedding into something out of a fairytale. The address is 336 Coye Brook Rd, South New Berlin, NY 13843 and telephone number is (917) 747-8989. The BARN at Liberty Farms - The barn is the quintessential rustic wedding venue. For those couples that have always harbored fantasies about a barn wedding, you simply can’t miss this. It is located at Liberty Farms and offers an incredible setting for your wedding, from the rehearsal dinner, to the ceremony, to the reception, and finally the cocktail party. Over 300 acres of pure beauty at what is a certified organic farm wait for you to take full advantage of them. There are also boarding and training facilities for horses, if you’re into that sort of thing, and you can enjoy unparalleled views of the Berkshires and the Catskill Mountains. The photo opportunities are great too! The address is 60 Ostrander Rd, Ghent, NY 12075 and telephone number is (917) 539-9283. Owl’s Hoot Barn - The Owl’s Hoot barn is especially for those who give a hoot. This beautiful venue lies at the foot of the Kalkberg Trail in the Hudson Valley with the Catskill watching benevolently in the background. It is surrounded by a beautiful landscape and is sheltered by a sheer cliff overhead. The venue itself was once the part of the route to Albany in frontier times and was used to trade with the Indians. There is a small complex of red barns to greet your guests as they arrive, followed by a beautiful wooden bridge, the lawn outside the barn, and the barn itself, full of weathered wood and natural light. No detail was compromised in the design of the Owl’s Hoot Barn and your guests will certainly love it. The address is 386 Bronck Mill Rd, West Coxsackie, NY 12192 and telephone number is (518) 755-1706. Catskills Barn Weddings at Natural Gardens - The Catskills Barn wedding venue is named for the Catskill Mountains, which you can enjoy magnificent views of from the mountain. The Natural Gardens farm itself is over 100 acres large and is operational throughout the year. If you want a wedding that’s tranquil and full of scenery, then you will love The Ponds, where woodlands border ponds with some of the best landscaping you will ever see. Look into their waters and you will see very large koi. If you’re more of the indoor type, enjoy the chalet, with its 3600 square feet of pure awesomeness and the adjacent renovated barn with its 2200 square feet of extra space. Take advantage of the gazebos outside for your wedding ceremonies, utilizing the bridges for your entry and the rock walls for a great background. Whatever your style, the Catskills Barn will give it an extra boost. The address is 304 Sutherland Rd, East Meredith, NY 13757 and telephone number is (607) 746-2028. The Kaaterskill - Upstate New York has a little secret that we want to share with you: The Kaaterskill. 40 acres of Wonderland where you can make your wedding fantasies come true. From the views of the mountains to the walks you take along the river, your experience of your special day in this special venue will be unforgettable, to say the least. The Red Barn will provide a great venue for your rehearsal dinner while the Dutch Barn will be perfect for your cocktail dinner. You will enjoy reciting your vows in some of the rooms in this venue with their beautiful décor and rich history. But don’t take our word for it, come see for yourself! The address is 424 High Falls Road Ext, Catskill, NY 12414 and telephone number is (518) 678-0026. Stone Tavern Farms - In 1803, the Stone Tavern was built. That day is a day on which a gift was given to the world and we are lucky to enjoy it till this day. The Stone Tavern lies on the Burrows property, a 400 acre expanse that has nothing but the most authentic country feel to it. It has been owned by the burrows family for some 150 years and features organic farms with the freshest beef and pork you will find anywhere in the country. The Stone Tavern itself is much like it was when it was first established as a nightly stop for ox drivers. It’s rich history and authentic rustic air is bound to make your wedding that much more magical. The address is 2080 Upper Meeker Hollow Rd, Roxbury, NY 12474 and telephone number is (607) 326-3600. Stonewall Estate - Stonewall Estate’s website proudly proclaims that the only thing better than a wedding day is a wedding weekend. I concur. Come to think of it, who wouldn’t like to spend an entire weekend in this magnificent venue? What was once a farmhouse built in the 1850s is now a large home custom made to make every bride who spends a night in it feel like a princess. From the French doors offering stunning views to the 30 acres of pure fun, you can be sure you won’t have a moment of boredom in this venue. Come take advantage of the 6500 square foot home and have your reception dinner in the adjacent 6000 square foot barn. It will be a night to remember! The address is 1595 Holmes Hollow Rd, Delhi, NY 13753 and telephone number is (607) 746-9953. The Mansion at Saratoga - The Mansion at Saratoga certainly has a name that makes it sound like it hosted one of the scenes in a popular blockbuster. The truth is, the venue is just so. Once you see it, you’ll realize that it not only sounds so but looks so as well. This Venetian estate from the 19th century is not only glamorous, but also rich in history. You can book it for yourself and, with 23 rooms to spare and the entire grounds at your disposal, you certainly won’t be limited. The air romantic, the ambiance elegant, the décor all up to you, and an executive chef at your beck and call; a wedding at the Mansion at Saratoga is befitting of any princess and will turn you into the queen you deserve to be. The address is 801 Route 29 Rock City Falls, NY 12863 and telephone number is (518) 885-1607. Handsome Hollow - When a venue has been featured in and remarked upon by both the New York Magazine and Country Living magazines, then you know it’s worth it. This 93 acre venue is full of the most beautiful blueberries, hemlock trees, creeks and trails. It has been called one of the 30 most beautiful barns for weddings in America and you’ll realize that isn’t hollow praise once you visit it. Having been around for over 200 years, this barn certainly has acquired quite a bit of character in the many years since its inception. You’ll enjoy the high ceilings, grand posts and beams, and rustic atmosphere of this magical venue. The address is 5256 Co Rd 28, Long Eddy, NY 12760. The Farm at Pond Lily - Only 100 miles of New York City lies the 500 acre marvel that is the Farm at Pond Lily. It is quite close to the Taghkanic State Park, which means you get to engage in all sorts of fun activities, such as hiking, swimming, boating, fishing, and camping. Close by are Hudson, Tivoli, Red Hook, and Rhinebeck, all fantastic places to dine, sample the local art and music, and take a walk. The farm itself features a 19th century barn with plenty of space for up to 350 people. Love will certainly be in the air, and it will be a strong scent, if you pick The Farm at Pond Lily for your wedding. The address is 365 W Pond Lily Rd, Taghkanic, NY 12523 and telephone number is (518) 303-2488. The Roxbury Barn and Estate - The Roxbury Barn and Estate is all about nature. It is bordered to one side by a wild forest right in the middle of the Central Catskills. The estate itself consists of 42 acres and full of nothing but nature for you, your groom, and your guests to enjoy on your wedding day. The main barn is the Carriage Barn, which is built into a cliff. It has two levels and is full of space for you and your guest. The design itself is a mix of the grandeur of the 19th century and the sleekness of modern times. The barn is, after all, 168 years old. You will definitely feel the magic if you choose this barn for your wedding. The address is 667 Co Rd 41, Roxbury, NY 12474 and telephone number is (607) 326-4874. Blenheim Hill Farm - Are you into farm-to-table cuisine? Would you like to be served by the best chefs from New York and have your wedding catered by a Michelin rated restaurant that has received rave reviews from major publications? If you answered yes to any of these questions, then the Blenheim Hill Farm is perfect for you. Described as a “living” farm, the Blonheim is used to grow up to 150 different crops and keeping many different types of livestock. It is not only beautiful and sustainable, but also very old, dating back to the 1770s. With a bonfire, a large forest, and a private lake, you’re bound to remember your special day at the Blenheim Hill Farm for many years to come. The address is 673 Blenheim Hill Rd, Jefferson, NY 12093 and telephone number is (646) 209-9633. Wolf Oak Acres - Wolf Oak Acres is a magical place, to say the least. This private facility sits on 188 acres of nothing but green pastures, forests, wetlands, and a lot of other natural landscapes. It has made a commitment to the preservation of the spot where many native Americans once set up their villages. As a result, you and your guests will be treated to views of many artifacts and treasures, as well as get to listen to fascinating stories from the natives themselves. 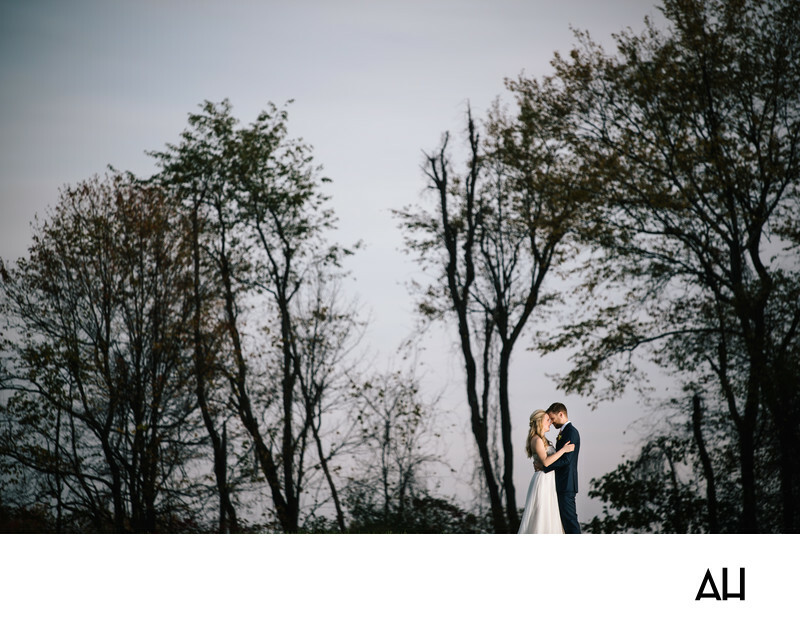 If you want to mix your little romance with a little nostalgia and a celebration of American history, then the Wolf Oak Acres is the perfect place to do that. The address is 6470 Creek Rd, Oneida, NY 13421 and telephone number is (315) 762-3090. Weddings are a magical affair. They are the time when you get to make vows of love and commitment to the love of your life. The words you say to your love on this day, ‘I do’, are perhaps two of the most important words you will ever say in your life. While it’s mostly a big day for the bride and groom, the wedding party has also played an important and sometimes interesting role in weddings in the past. Here are some fun facts about the historical role of the wedding party. Flowers weren’t the only thing thrown at the bridal party in old times. It used to be shoes. The bride would throw shoes at the bridal party and the first bridesmaid to catch it would be the next in line to be wed. Once she caught it, the lucky bridesmaid would then throw the shoe at the groomsmen and the first one to catch it would be her beloved. The ‘Best Man’ is probably thought to have originated from a practice by the German Goths of the 1500s. The best man, who was probably the best swordsman as well, was tasked with the duty of stealing the brined from her parents or community. It used to be a superstition that if the bride stumbled on her way to the altar, she was cursed never to be wed. The bachelor party or stag party first originated among the Greeks of Sparta. The groom’s buddies would treat him to a sumptuous feast the night before the wedding was to take place.